Patients cryopreserving embryos, eggs, or sperm may be able explore the following disposition options on the Embryo Options website. Fertility patients with access to Embryo Options may explore whether to donate their unused embryos to embryonic or fertility related research. Those interested in this option shall have access to education and resources to learn how embryos are used by research scientists to find cures for a number of debilitating diseases. 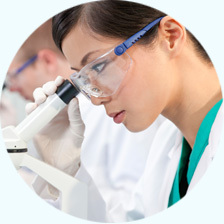 Embryo Options also seeks to build and maintain relationships with research institutions for the purpose of informing fertility patients about opportunities to donate their embryos. Information about these opportunities along with a comprehensive list of research institutions are provided to patients through the site. This enables individuals to directly reach out to these institutions to explore donation. Patients cryopreserving embryos may wish to donate unused embryos to another couple or individual, struggling with infertility. To help patients explore this option, Embryo Options has built a comprehensive embryo donation website, where potential donors and recipients can learn about the professional guidelines for embryo donation, the legal aspects of the procedure, and mental healthcare considerations. The embryo donation website offered by Embryo Options allows patients to donate their embryos to another couple or individual by donating anonymously to their IVF center, or by matching directly with a compatible recipient. Donors and recipients build anonymous profiles to initiate the donation or matching process, and the IVF centers for each party play a key role in helping patients complete the medical section of their profiles, and ensure adherence to professional guidelines for embryo donation. Patients wishing to be a recipient of donated embryos on the Embryo Options website will need to be authorized to do so by an Embryo Options participating IVF Center. 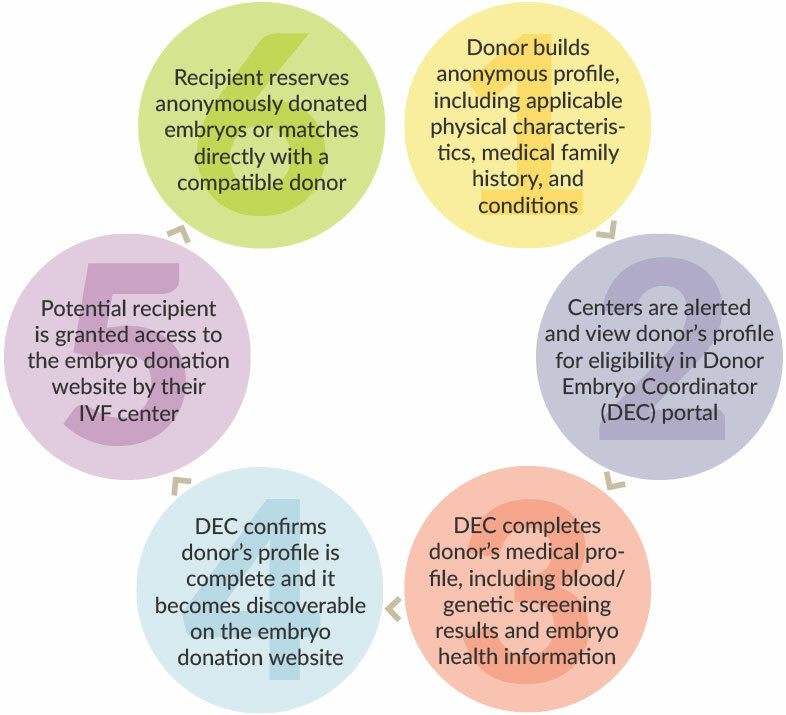 Recipients authorized to access the site will be able to maximize their chances of finding a suitable embryo donor by viewing and potentially matching with donors from all participating Embryo Options network providers. Patients wishing to use their own embryos will learn about the Frozen Embryo Transfer (FET) procedure and the option to test their embryos before transfer using Preimplantation Genetic Screening (PGS) technology. Patients in this area of the Embryo Options website can alert their IVF center of their desire to participate in a FET and from there, the site will facilitate the arrangement of an appointment. Patients learn about what happens to their embryos, eggs, or sperm during the thaw and discard process and are provided their IVF center's informed consent to carry out this disposition option.